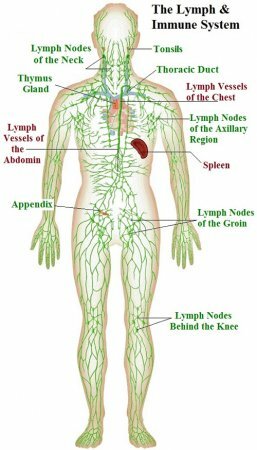 The primary structures of the lymphatic and immune systems in the upper extremities are the axillary nodes, which are located just under the armpit (some extend into the chest cavity as well) and the lymph vessels of the arm and hands, which move lymph throughout this region. 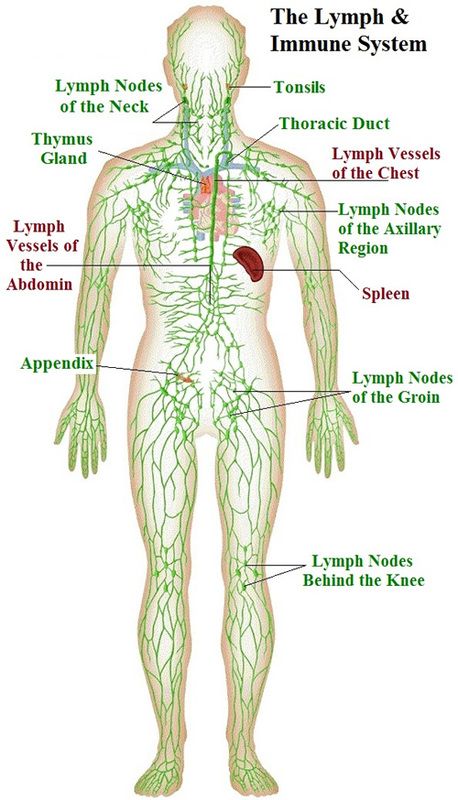 The lymphatic system works closely with the immune system: lymph nodes trap pathogens so that antibodies can attack them; the byproducts of this attack (dead bacteria or viral particles and dead or damaged antibodies and white blood cells) can then be flushed out of the body along with the lymph fluid. This prevents excessive buildup in the body of the poisonous products of cellular decay.